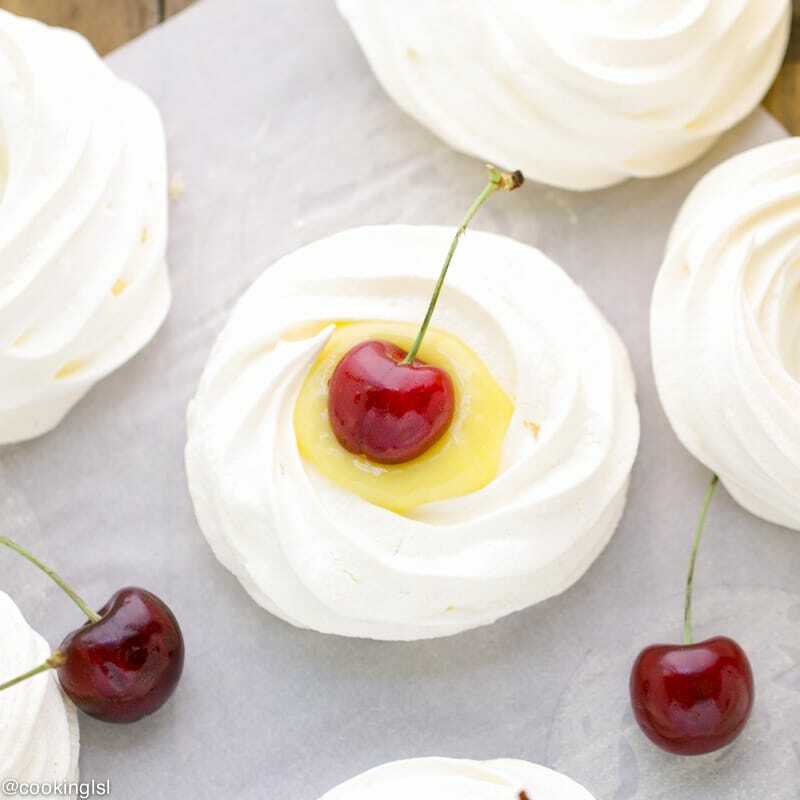 Meringue nests with lime curd and cherries – fresh summer dessert, that is very easy to make and looks impressive. They look like mini meringue pies. Hi guys! Happy Friday! Fourth of July is just around the corner. 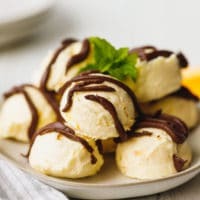 I have a nice summer dessert idea for you today. While testing a recipe for a cake I wanted to make for a friend last week, I ended up with 9 egg whites, I did not use. I kept them on my kitchen counter for a day and knew exactly what I wanted to make. Meringue nests! And then I found a recipe for lime curd and it turned out pretty good. Lemon curd could be used instead. Then I garnished my meringue nests with a fresh cherry on top. Light and airy, crunchy, sweet meringue nests, paired with tart lime curd and sweet cherries, it sounds like the perfect summer dessert. Their small size, makes them perfect for a party, birthday or a baby shower. 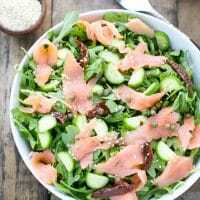 The best part – they are extremely easy to whip up. I rarely make meringue cookies (I make Pavlovas more often), so I was worried about my piping skills. Piping these was actually pretty easy. I had to trace 3 inch circles on a sheet of parchment paper, to make sure the nests have the same size. I used a star tip and and starting at the center of each circle, piper a circle, For the walls, I then reaches the outer rim of the circle and piped two additional layers of meringue. 1. Make sure that the bowl and beaters are well cleaned and totally dried, this is important in order to achieve stiff peaks. 2. A day old, room temperature egg whites are best for meringues. 3. 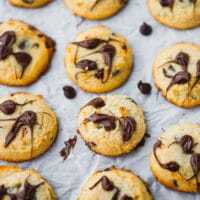 Baking temperature should be between 225F -250F (107C – 121 C). Hope you like these! I promise you, they are easier to make, than they look. 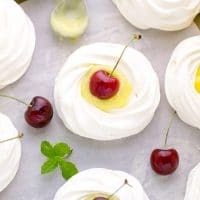 Meringue nests with lime curd and cherries - fresh summer dessert, that is very easy to make and looks impressive. They look like mini meringue pies. Line two baking sheets with parchment paper. ( Optional: Trace six 3 inch circles over the parchment paper on each sheet). Beet egg whites in the bowl of an electric mixer until frothy. Add cream of tartar. Beat until soft peaks form. Increase speed to medium high. Slowly add sugar, 1 tbsp at a time, until it is dissolved and stiff peaks form. Beat in vanilla extract. Fill a piping bag with meringue, use a star tip. Starting in the middle of each circled, pipe a round, then pipe two circles over each other. Repeat until meringue is gone. Bake meringue nests for 45 minutes at 225 F.Then turn the oven off and let them stand inside for 1 more hour. Fill with lime curd. Top with cherries. 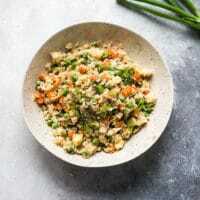 In a deep bowl whisk together eggs, sugar, lime juice, salt and zest. Pour into a medium sauce pan and place over medium low heat. Cook for 5 -6 minutes, stirring constantly with a rubber spatula, until thick. Turn the heat to low and add butter, stir to incorporate. 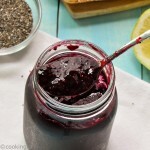 Strain and pour into a jar. Store in the fridge. Lime curd makes 1 3/4 cups. I find some of my best recipes are born out of left overs! LOL! What a beautiful presentation! These are so pretty, Mira! I’ve never had a meringue nest before so I’m loving the flavor combination. The lime and cherries sound just perfect! Pinned! So bright and summery. I can imagine the little bit of sweet crunch from the meringue and sweet-tart from the lime curd. Yum! I love meringue! It’s always so light and cool for summer. And filling them with lime curd is brilliant! I just made a big batch of key lime curd the other day and didn’t need all of it — meringue nests would be perfect! These couldn’t be more beautiful, Mira! Wow, you made lime curd, too Marcie! Hope you get to try them! Ooooh, lime and cherries. I like! Meringue nests always make a nice light summery dessert. Oh my gosh – Mira – these are absolutely GORGEOUS! I did not know that day old egg whites make better meringues – thanks so much for that tip! These are so pretty and sound so good, and pretty simple to make. We’re having a party for our 25th, so these would e a nice touch. Hope you like them Cathy! these are so beautiful Mira! 🙂 Love!! These are so pretty and elegant. 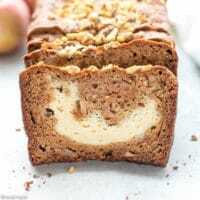 I would love to serve these for an afternoon tea, lovely recipe. 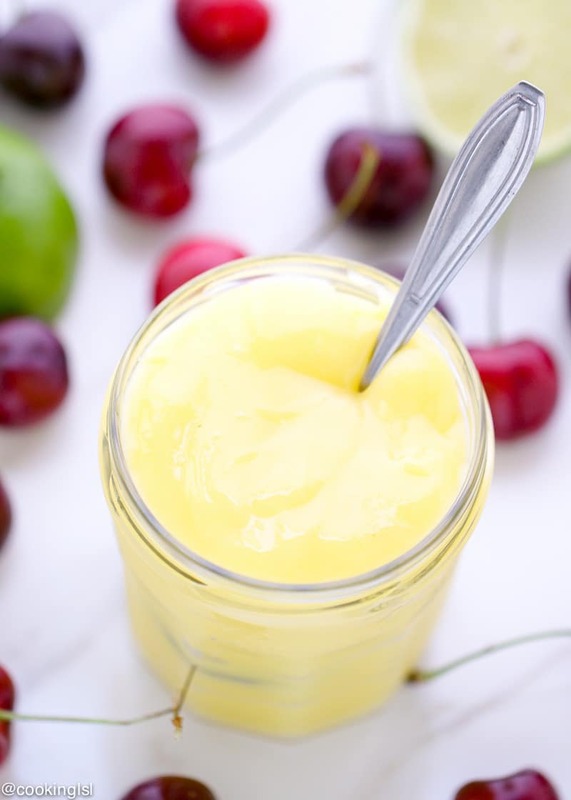 I love cherries, and what a great idea to put them with lime curd. This is something that I can veganize now that I mastered making vegan meringue. Thanks Mira, this looks delicious! These are stunning! I could eat a few in one sitting! 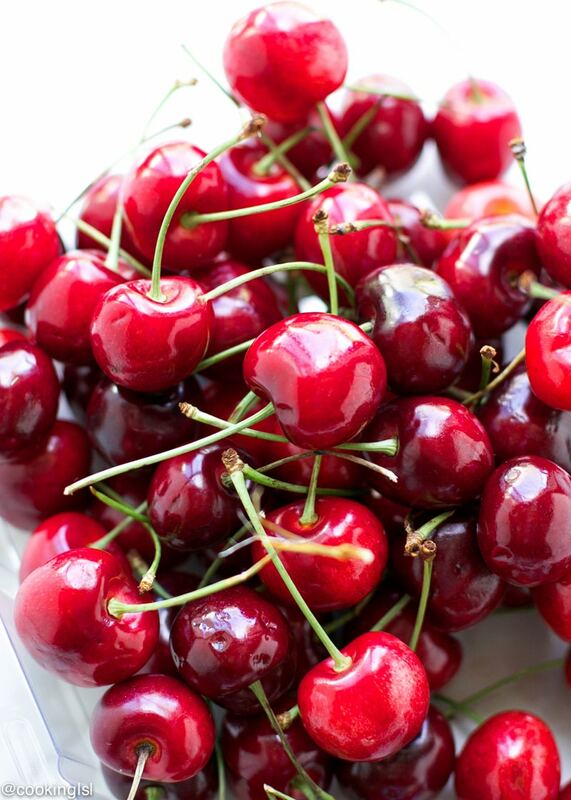 I LOVE fresh cherries! And these little nests not only look and sounds delicious, but they are absolutely gorgeous! 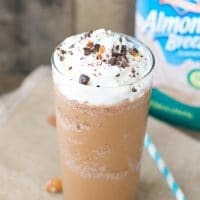 Perfect dessert for the summer! I think I have like a hundred egg whites in my fridge right now because I was using yolks all week for pudding. I was thinking about what to make with all of them and of course meringue came to mind. These nests are so cute, and would definitely be a great use for all those whites!!! Pinned! 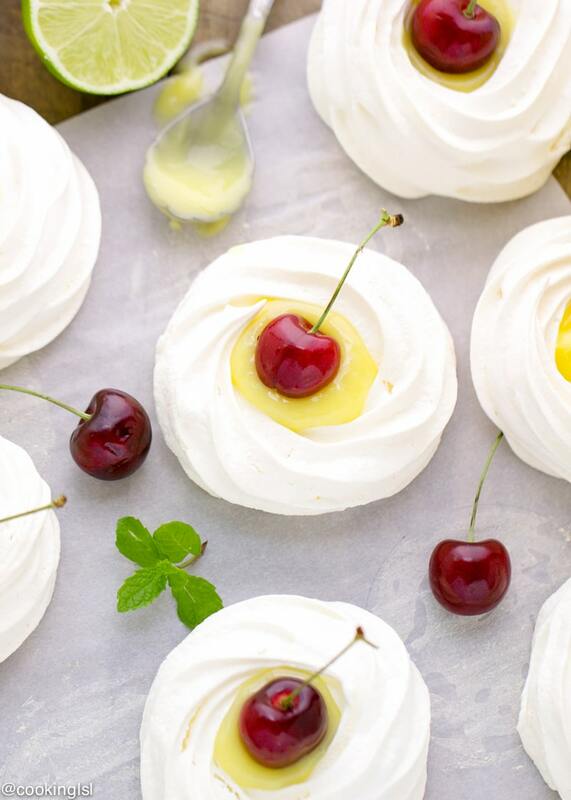 Meringues with lemon curd with a cherry on top! 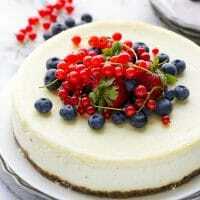 Love this simple yet elegant dessert, Mira and your piping is beautiful! Nice work! 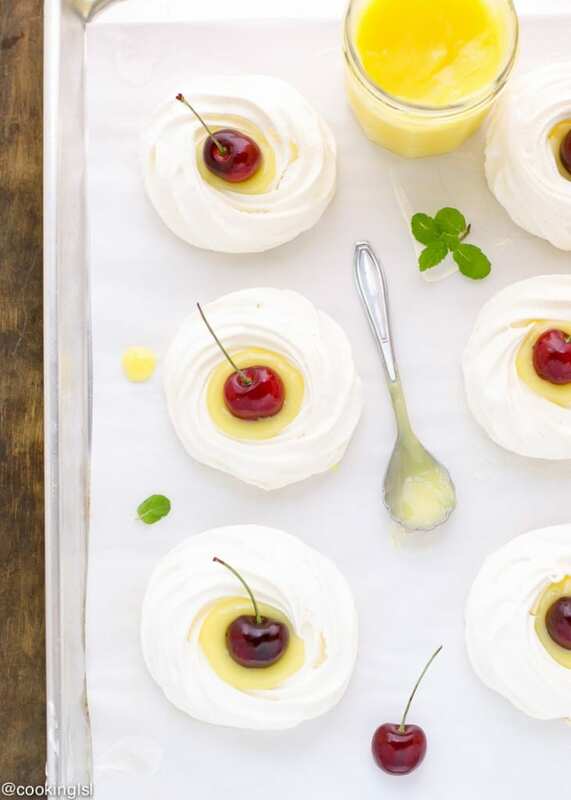 Cherries and lemon go deliciously together and the meringue is a delicious contrast to the creamy texture of the curd. A perfect Summertime treat! Thank you my dear! These meringues are gorgeous, Mira! I love that you filled them with lime curd and the cherry on top is so so pretty! These are perfect for summer! Those meringues are so pretty! Love the lime curd and cherries. That’s the perfect summer dessert! These are so much fun Mira. I love the juxtaposition of the soft, breezy colors from the meringue and lime curd with the pop of red from the cherry. It’s so fresh. . .perfect for Summertime. I’m glad you had some leftover egg whites because it resulted in these beauties. These are soooo stunning Mira! I love meringue with lemon curd, but I’ve never tried them with lime curd before – it sounds so refreshing and delicious! The cherries on top make them look even more perfect! Pinned! Thank you for the meringue tips! I am terrible with meringues so it’s really handy – especially the tip about the eggs. These are so beautiful, I am always in awe of how pretty your desserts are! Lemon curd and meringue is one of my favourite summertime flavour combos. It’s so light and fresh. Love the pop of colour from the cherry on top! These look so cute and taste delicious!